Anushka Sharma and Varun Dhawan are promoting their upcoming film Sui Dhaaga in full swing. 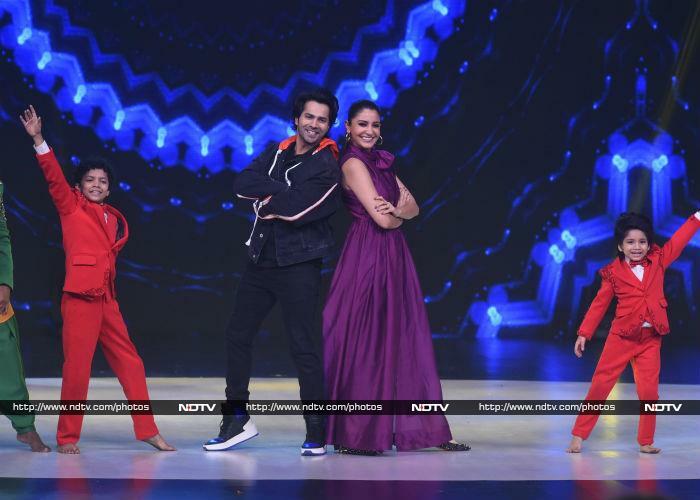 On Wednesday, Anushka and Varun visited the sets of Dance Deewane, where they caught up with Madhuri Dixit, one of the judges on the show. Anushka, dressed in Atsu outfit, and her co-star Varun enthralled the audience with their performance. 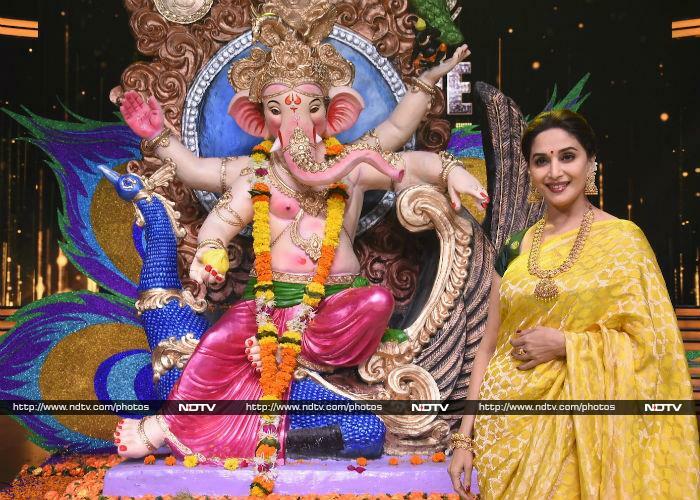 Team Dance Deewane, with Madhuri Dixit in lead, also welcomed Bappa their sets. The episode was shot a day before Ganesh Chaturthi. Varun Dhawan also shook a leg with Madhuri. Later, Anushka Sharma and Varun Dhawan were spotted at press conference for Sui Dhaaga. Anushka wore a dress from Anita Dongre Grassroot collection.